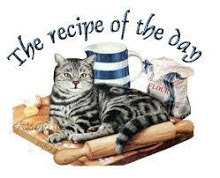 This is a great recipe for summer. 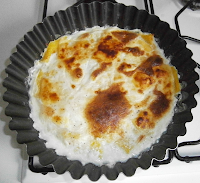 Easy to make depending on the quantity you will serve, it can be a first or a main course. 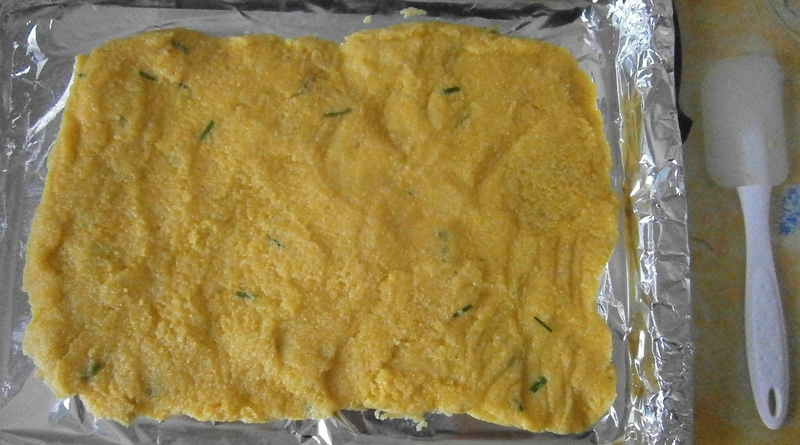 Make the stock boil, pour the polenta and mix well. Add the chive and pepper and let cook. When the liquid is absorbed, pour on a cooking plaque and flatten it at 1 cm thick. Let it cool down. Pre-heat the oven at 200°. Butter a mould. 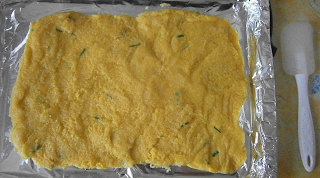 Cut the polenta in squares, place in the mould. Above, place the cheese slices and sprinkle with parmesan. Pour the milk. Bake for about 35 min and watch the baking process. Meanwhile, prepare the salad. 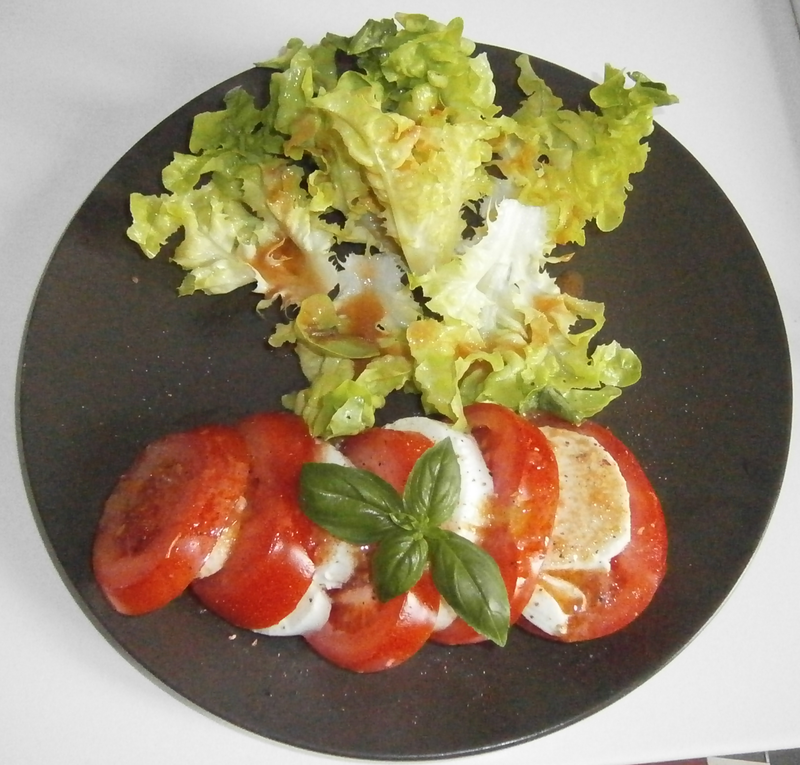 Cut the tomato and the mozzarella in slices. Add salt, pepper and some vinaigrette or olive oil. Decorate with basil and add green salad. 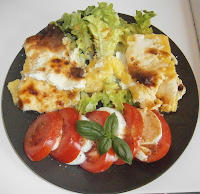 Once the gratin is ready and golden, serve it with the salad or serve in 2 different plates.